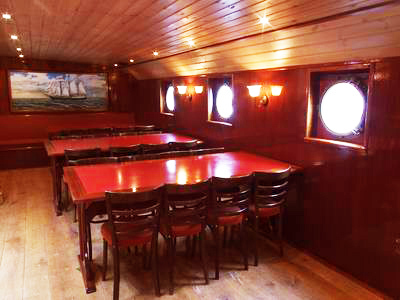 The ship is highly suited for, amongst other things, team building, presentations, meetings, motivation sessions, staff meetings, courses, overnight stays when visiting fairs, weddings or conventions. 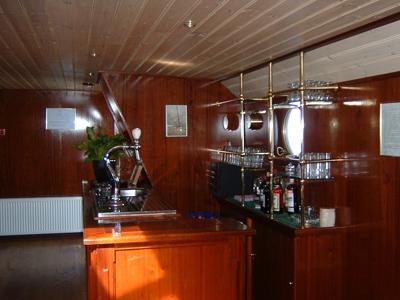 Admiraal van Kinsbergen can also be rented as hotel ship in summer. Also see the prices page. After a busy day you will find rest and relaxation while enjoying a delicious meal at the bar. You can also invite your business relations for an informal meeting at night or go through the day’s proceedings with your colleagues. Just take a look at catering. With 19th century sailing providing a décor for meetings in a luxury ambiance we’ll see to your every need in order for you to be able to completely focus on your meeting or give over to total relaxation which ever the case may be. More information about the rooms at the accommodation page.